As stated, SVG and Inkscape are already well interdependent. 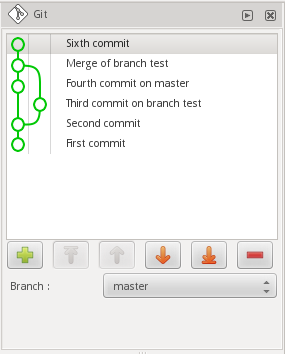 It seems obvious and almost trivial to integrate the features of git to this already excellent tool. Have the commit history displayed as a list or graph so the designer can go back in time and recall older versions. Have a special viewer that can display the differences between two commits in different ways. As a “getting started” idea for a graphical diff of two commits, here's a way to use ImageMagick's “compare” tool via git-difftool. cmd = "/home/markv/bin/compare.py $LOCAL $REMOTE - | display"
Then “git difftool -y -t compare” will display bitmaps of changed SVGs, one at a time, highlighting changed regions in red.